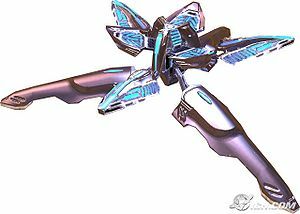 ...that the Covenant Sangheili Kitun 'Arach fought briefly on the side of humans? ...that humans must use a chemical known as cytoprethaline before entering cryo chambers to prevent ice crystals from forming in their cells? ...that a Flamethrower was intended to be put into the first two Halo games, but for balance reasons wasn't included in campaign until Halo 3? ...that there are over 6000 unique Armor Permutations combinations in Halo 3? Were you looking for the more permanent gravity lift? The portable gravity lift is a piece of Covenant deployable field equipment. Once deployed, the portable gravity lift unfolds and projects a bluish-purple stream of gas and energy that propels personnel into the air. The stream is powerful enough to lift vehicles, such as the Mongoose, as well as other moderately heavy objects. Covenant troops presumably use the lift to reach high ledges in a similar manner as using conventional ladders. A thrown portable gravity lift, about to activate itself. When in Forge mode, you can place an active gravity lift that does not require pickup for activation, so that in game it will already be active. If you put one gravity lift over another in a room with a roof so that the gravitational forces face each other, they will counter each other and the player will be unaffected or will float but still be able to steer through. In Forge, you can place a gravity lift on top of a weapon holder. If done correctly, the gravitational force from the holder will turn the lift sideways, so instead of lifting you up vertically, it will push you horizontally. This can be used to keep players from entering doorways or certain areas. If you set the minimum respawn to the maximum respawn, and keep throwing a gravity lift in the same place, it will 'jump' over the other gravity lift, eventually finding its very own 'place' to rest. Using the above trick, if you throw them in an upward direction with permanent gravity lifts surrounding you, the portable ones will go up, and 'jump' around in seemingly random positions; from below, it looks like Sentinels are attacking you. Usage of the gravity lift inside can trap the player. However, this can also be used as a defense. The gravity lift can be destroyed by conventional weaponry and will self-destruct after 30 seconds. An active gravity lift will not survive a fall from a great height. Once trapped, it is easier to throw a grenade (frags work best) into the lift and it will shoot up and kill or injure the trapped player. This has to be done properly though, as it can also fly back out of the lift and detonate somewhere else, making it a clever trick, but an easy suicide. Gravity lifts will not affect heavy vehicles such as the Scorpion, Wraith, and Elephant, but just barely have an effect on Brute vehicles like the Chopper and Prowler. The Portable Gravity Lift was seen in the Halo 3 ViDoc while a group of players were attacking High Ground. To the untrained eye one would suppose that a player just grenade jumped, but there was a pad on the floor that was radiating a blue light similar to the man cannon. It is another piece of equipment similar to the bubble shield, power drain, trip mine, and radar jammer. 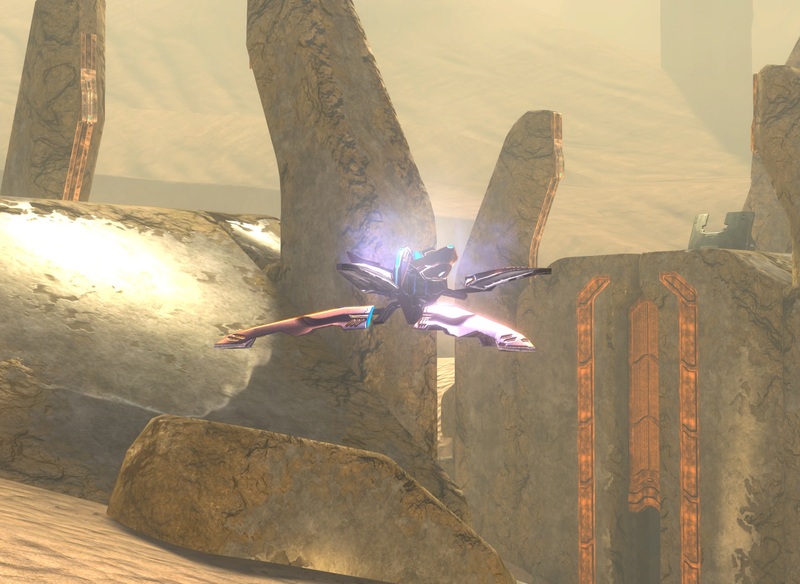 The gravity lift is used in obtaining the Cowbell Skull, on "The Ark" level of Halo 3. You have to position the gravity lift in an exact place on the floor and jump to get it. When deployed in front of a rapidly approaching vehicle, the approaching vehicle will fly above your head, except for Type-32 Ghosts. This tactic also works with enemies in both single player and multiplayer, and is very effective against charging Brutes. The portable gravity lift is available for use in multiplayer on the maps High Ground, Sandtrap, Rat's Nest, Ghost Town, Foundry, and Last Resort. The portable gravity lift is the only piece of equipment that can be placed in Forge in its deployed stage. If you drop a portable grav-lift while riding a fixed one (made in Forge) or another portable one you will be launched twice as high, but the lift you drop will then start spinning. In a CTF game, if you throw a gravity lift at the flag, the flag will float into the air, making it easier to capture in some situations. The portable gravity lift can be destroyed by two grenades detonated in close proximity. The Portable Grav Lift deployed. The Covenant Portable Gravity Lift, inactive. The Portable Gravity Lift HUD icon. A group of Portable Gravity Lifts.